Toucan. Exotic nature background. tropical plant. 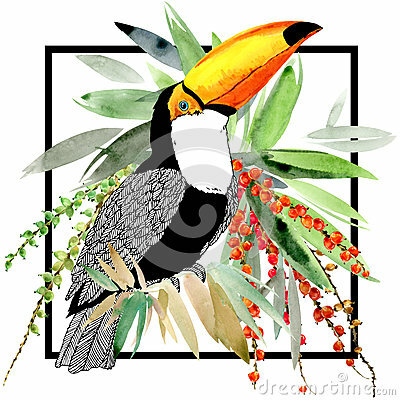 Toucan illustration. Exotic bird. tropical plant. watercolor tropical background.